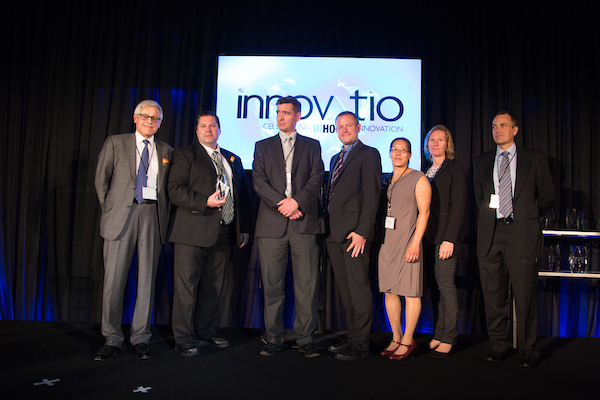 Husky Injection Molding Systems, a long-time Banner & Witcoff client, received a 2017 Legal Department Award at the Canadian Lawyer InHouse Innovatio Gala Dinner and Awards Presentation on Sept. 19 in Toronto, Ontario. Husky’s entry was co-submitted by Banner & Witcoff and Green Mountain Innovations. In recognition of Husky’s award, both Banner and Green Mountain sponsored the annual gala and award ceremony in Toronto, Ontario. The annual event celebrates in-house counsel, both individuals and teams, who have found ways to show leadership by becoming more efficient, innovative and creative in meeting the needs of their organizations within the Canadian legal market. Banner & Witcoff again congratulates Husky for this significant recognition. Previous PostBradley C. Wright comments on Allergan deal with Saint Regis Mohawk Tribe in French publication Le MondeNext PostIP Alert: Clinical Trials: When is the Right Time to File for a Patent?